A pretty bold statement, given Max’s history of mind-expanding innovation in the realm of audio, and reason enough to check out the presentation below. Filmed at Loop 2018, the video features Cycling ’74’s CEO and founder David Zicarelli and Content Specialist Tom Hall introducing Max 8’s new multi-channel audio programming system. David and Tom demonstrate techniques for generating rich and interesting soundscapes that they discovered during MC’s development. 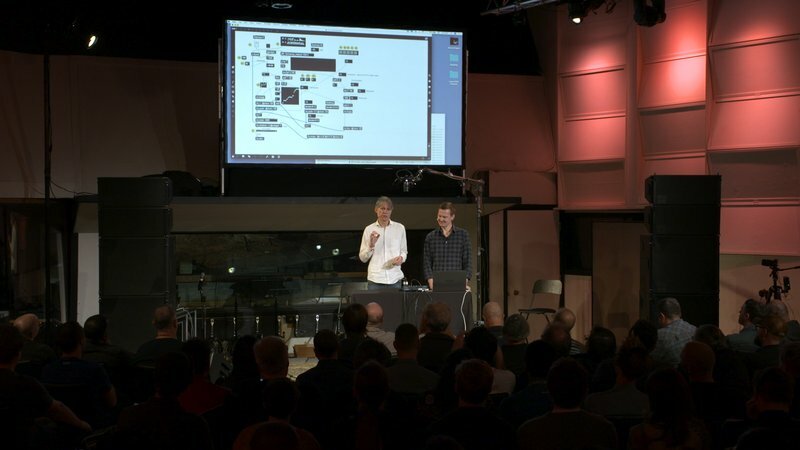 They also touch on the psychoacoustics behind our recognition of multiple sources in an audio stream, and show how to use these insights in both musical and sound design work. So even if you don’t use Max, this presentation might just expand your thinking about what multi-channel audio is and its potential as a creative playground.